Explore the most mysterious martial art of all … Tai Chi Chuan. The Supreme Ultimate. The Heaven and Earth. Come with us to meet the best Tai Chi masters in China and gain a deeper understanding of Yang style, Chen style and Wudang Tai Chi Chuan. With the backdrop of the Forbidden City, Chen Village and the peaks of Wudang Mountain, this is not the Tai chi you see in your local park! 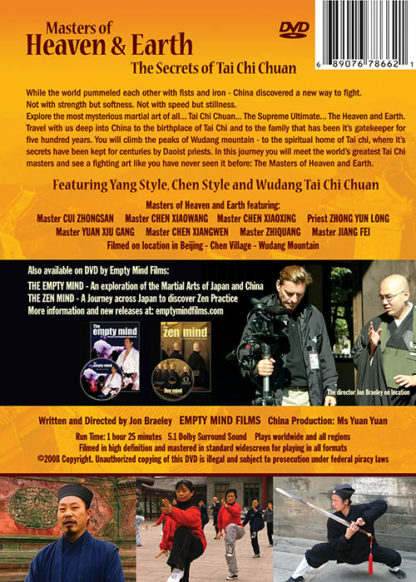 For the first time in one movie all three major styles of Tai Chi Chuan are featured together – Yang, Chen and Wudang along with some of the best masters of this internal art. With the backdrop of the Forbidden City, Chen Village and the peaks of Wudang, this is not the Tai chi you see everyday in your local park! This is real Tai Chi Chuan. While the world pummeled each other with fists and iron, China discovered a new way to fight. Not with strength but with softness. Not with speed but with slowness. 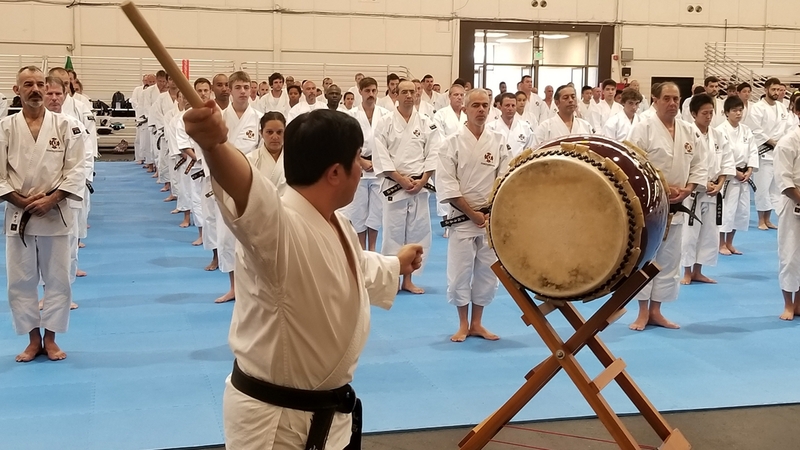 Culled from the ancient texts of The Tao or Book of Changes, this internal fighting art became a way to live one’s life in accordance with the principles of nature. Experience a Tai Chi Chuan class with Master Cui Zhongsan in Beijing and listen to him explain the history and philosopy of Yang style and how and why it developed as a seperate style from Chen Tai Chi. 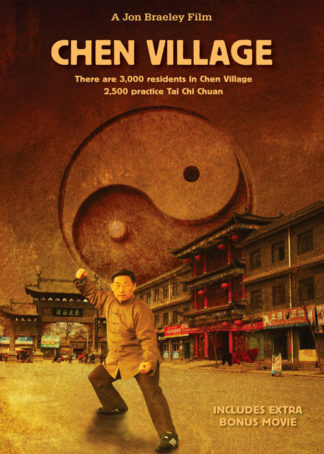 Visit the small remote Chen village, the birthplace of Tai Chi and learn the history of Tai Chi with the Chen family. It was here that Yang style was born through Chen student Yang Luchan. 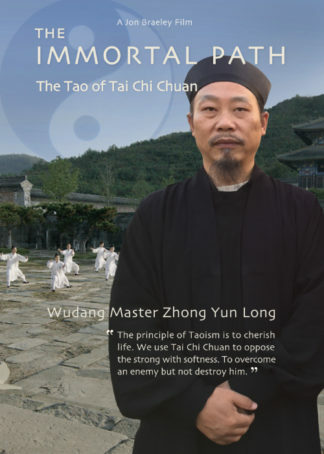 Travel to Tai Chi Chuan’s spiritual home, Wudang Mountain and learn how Taoism and Yin and Yang formed the foundation of this internal martial art. This is Tai Chi in its authentic natural setting – at the origin. You will learn about the history of Tai Chi Chuan and how the three main styles developed. Understand the internal health principles of Chi or life-force from Zhong Yun Long, Wudang’s most important and knowledgeable Tai Chi master. Witness breathtaking demonstrations by Chen Xiaowang at the Yellow river and master Yuan and master Chen at Wudang Mountain. 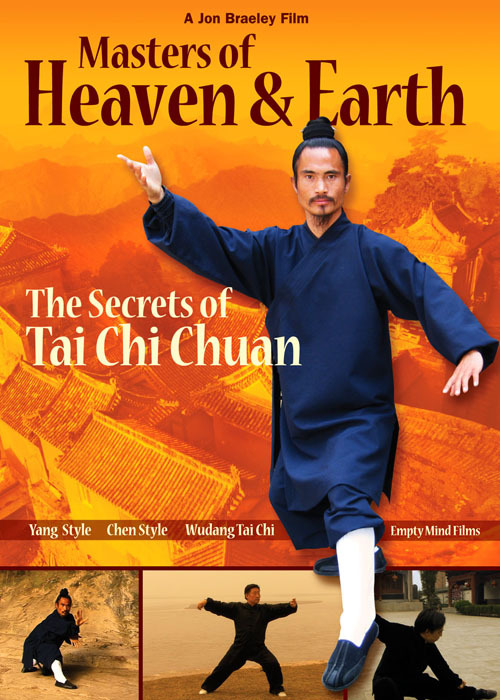 Masters of Heaven and Earth is packed with interviews and demonstration featuring Master Cui Zhongsan (Beijing), Chen Xiaowang and Chen Xiaoxing (Chen Village) and Priest Zhong Yun Long and Master Yuan (Wudang Mountain). Do not hesitate… explore the most mysterious martial art of all … Tai Chi Chuan…the Supreme Ultimate… the Heaven and Earth. Shows the many different styles of Tai Chi. From Chen to Yang…great explanation on the history. 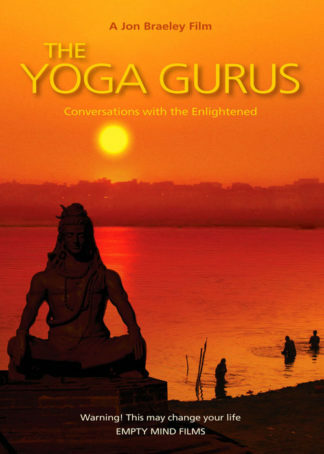 It is a must if you are planning to start it for knowing basic knowledge of the history. 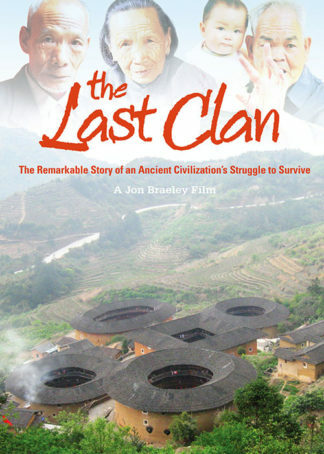 this DVD opens with scenes of martial splendor, depicting masses of Tai Chi and Kung Fu performers. Once it begins in earnest the DVD is comprised of several `chapters’, each one focusing on a different Tai Chi master or tradition. it ends with Wudang mountain, which we are informed is actually 72 separate peaks. Here we meet both Masters and devoted students. Grandmaster Zhong Yun Long of the main (Purple Cloud) temple is another deliberate but soft spoken steward of a great tradition. Master Long’s Tai Chi performance was exquisite. He and Master Chen Xiangwen offer compelling perspectives and information on the more esoteric aspects of Tai Chi and Taoism. The student interviews contribute to the overall flavor. 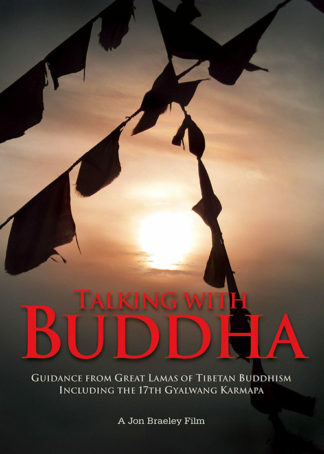 All things considered this is a well made DVD with quite a good bit of fascinating information. There’s not much here that will help you improve your Tai Chi from a technical standpoint (it’s not intended as a teaching DVD), but many serious students will find the historical and theoretical information useful and inspiring nonetheless. If you appreciate martial arts and their history, Empty Mind Films does great work. I am new to Tai Chi and I learned alot and gained much appreciation for the art. Well done documentary. 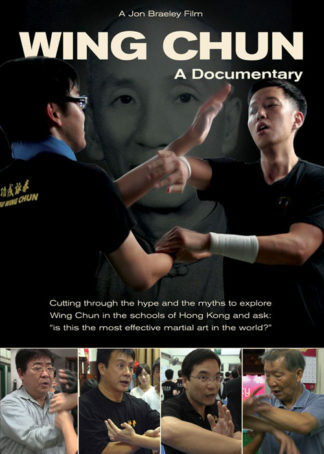 If you practice tai chi or simply want to know more about it, get this movie! 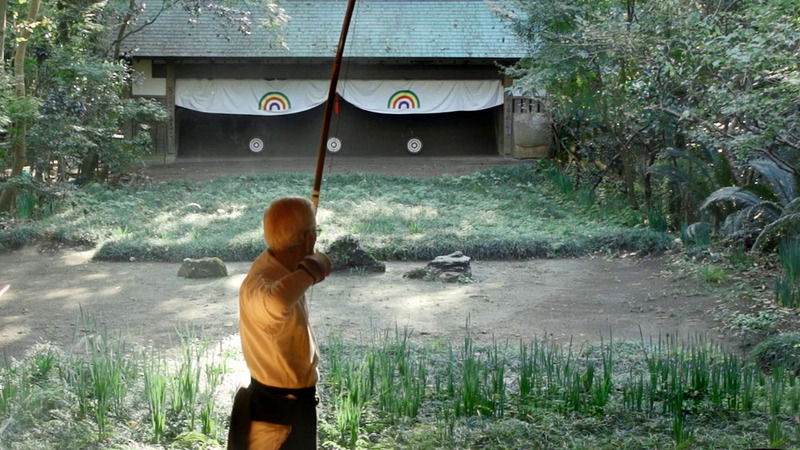 It’s not a how-to-do but rather a documentary on this ancient martial art form. It’s shot in HD with an inspiring sound track. I’ve been training in the martial arts since 1965, which includes tai chi study. I highly recommend this high quality, well produced DVD. I want to thank Empty Mind Films for your efforts in spreading the culture of martial arts through your DVDs. I bought Masters of Heaven & Earth – a great DVD about Tai Chi. I saw this many times with my Chinese teacher of Tai Chi Chuan. Good Job! Shows the many different styles of Tai Chi. From Chen to Yang…great explanation on the history. It is a must if you are planning to start it for knowing basic knowledge of the history. 5 Stars! Really good job done in this movie, Masters of Heaven and Earth. Interesting images and development, and a discover of inside China by and around the Tai chi Chuan. This film is not a learning method, but a kind of spiritual and cultural travel between different frames and minds of internals martials arts. Now, I would like to discover others movies from Empty Minds Films.